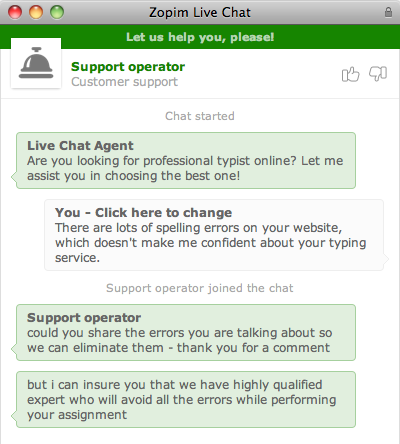 Picking up where we left off the other day, Jon C (for it was he who found TypingService.org) took the opportunity to mention the errors on the site's Live Chat. Hmm. Not exactly won me over yet.